Despite posting a net profit of €194 million this quarter, Sony still expects to make a full-year loss. SONY SAID ON Thursday it saw a €194 million first-quarter net profit thanks to brisk sales of its PlayStation 4 console and a weak yen, but said it still expects a full-year loss. The company’s net profit came to 26.8 billion yen (€194 million) for the three months through June, up from 3.1 billion yen a year earlier, with sales rising 5.8 percent to 1.8 trillion yen. The gains were largely driven by “a significant increase in game and network services segment sales, reflecting the contribution of the PlayStation 4… as well as the favourable impact of foreign exchange rates”, Sony said in a statement. A weak yen boosts the profitability of Japanese exporters such as Sony. The consumer electronics giant also said box-office hits, including “The Amazing Spider-Man 2″, boosted results at its movie unit, which includes a Hollywood studio. 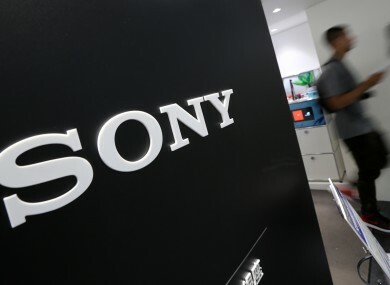 Sony, which has been undergoing a painful restructuring after years of losses, still expects a net loss of 50 billion yen on sales of 7.8 trillion yen for the fiscal year through March 2015. The firm said it more than doubled operating profit in its television segment thanks to strong sales of flat-screen televisions in Asia and Europe. The news comes despite Japanese manufacturers suffering badly in their TV divisions as razor-thin margins and fierce overseas competition hammers their finances. Sony said its smartphone business saw an operating loss of 2.7 billion yen due to growing marketing costs as the business struggled in Japan, where Apple’s iPhone dominates. Despite the upbeat results, analysts warned that the positive impact of a weak yen was fading, and said Sony along with rivals Panasonic and Sharp must speed up their corporate overhauls. “Japanese electronics makers can’t expect much from the impact of a weak yen for the current fiscal year,” said Yasuo Imanaka, analyst at Rakuten Securities. “Sony is now heavily relying on its entertainment, music and insurance businesses. Panasonic is due to announce its latest earnings later Thursday. Email “Games and box-office movies help Sony post surprise profit”. Feedback on “Games and box-office movies help Sony post surprise profit”.